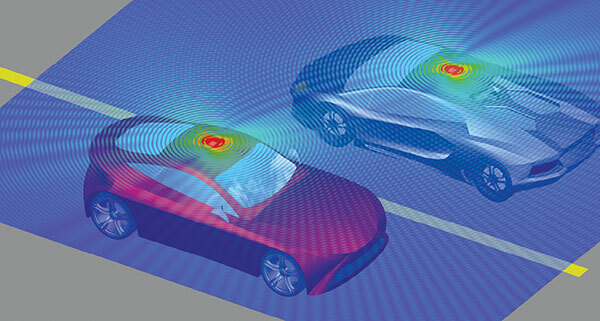 Simulation software maker ANSYS anticipates 5G will prompt designers to solve frequency issues—such as the car-to-car communication shown here—using simulation. Image courtesy of ANSYS. 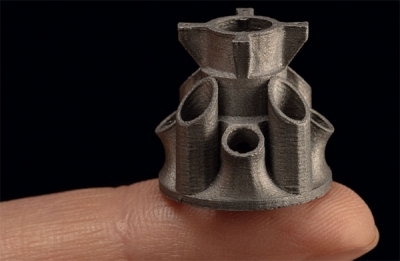 Around 2012, when Jon Hirschtick, John McEleney and a few other former SolidWorks executives decided to launch a cloud-hosted CAD startup, they were betting on a vision of ubiquitous high bandwidth. “That’s the wave we were riding on; we knew bandwidth would improve over time,” recalls McEleney. Within the last decade, affordable high bandwidth providers emerged to cater to modern households, allowing Netflix, Hulu and Amazon to challenge the broadcasting networks’ dominance with on-demand content streaming. The anticipated arrival of 5G points to more disruptions. Hirschtick and McEleney officially released the public beta of their browser-based modeling application Onshape in 2015. It works on decent bandwidth, but it’s architected with the anticipation of high bandwidth. “You’ll definitely see performance increases when 5G hits, but the beauty of our position is, we don’t need to do any extra work to take advantage of it,” says McEleney. 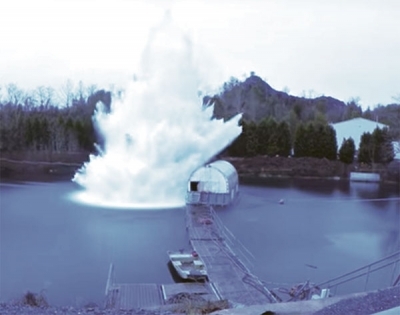 5G’s benefits will trickle down not only to streaming applications but also to sensor-equipped digital twins, connected devices and cloud-straddling simulation programs; faster file transfer is just the tip of the iceberg. “We are taking a progressive approach to rolling out 5G, beginning with super-fast broadband service in four markets in 2018, and will follow that with mobile 5G service, with plans to expand deployments in 2019 and beyond,” says telecom service provider Verizon. For general consumers, 5G promises faster download, better streaming videos and smoother online game play. Though both Netflix and Onshape are cloud-hosted applications, there are some fundamental differences in how they stream—or, rather, in what they stream. 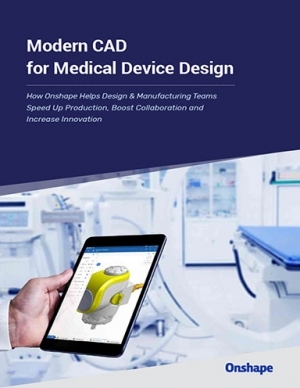 Designed from the ground up to run on mobile devices, cloud CAD provider Onshape counted on widespread availability of high bandwidth. Image courtesy of Onshape. Parametric CAD was historically written to run on powerful workstations, relying on the horsepower of the local CPUs and GPUs. 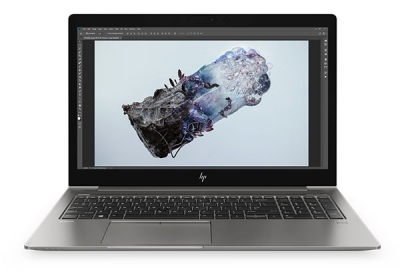 Therefore, for those with flagship CAD products dating back to the Windows desktop era, updating the product to run on high bandwidth in the cloud is no small task. By contrast, Onshape wrote its architecture from the ground up for the cloud. The product is not installed; instead, it runs in a browser on a workstation, a tablet or a smartphone. “The performance you get depends on your connection. For example, if you happen to be in a place without Wi-Fi, and you choose to tether to your 5G-enabled phone, you’ll get great performance,” explains McEleney. He predicts that the impact of 5G will be most notable the first time users load a model. Another company closely watching the arrival of 5G is PTC, which caters to connected product developers. It offers ThingWorx, an industrial IoT application development platform. “For companies in the industrial IoT space, 5G means being able to deliver more data and faster speed, and being able to do more things on the edge,” says Rob Patterson, PTC’s VP of strategic marketing. The edge device—a sensor-equipped device in the field—is usually designed with limited computing power and storage capacity. Therefore, in the era of limited bandwidth, it’s often a challenge to transfer the accumulated data back to the cloud or a network for centralized processing. The arrival of 5G promises to improve the edge-to-network data flow. Network slicing is an architecture that “allows multiple virtual networks to be created on top of a common shared physical infrastructure,” according to the 5G resource site 5G.co.uk. The ability to embed unprecedented processing power in small devices encourages edge processing (processing the collected data on or near the device). On the other hand, the ability to transmit vast amounts of data swiftly favors cloud processing (uploading the data from the device to a server environment for centralized processing). Karnofsky believes 5G might reinvigorate the edge vs. cloud debate among engineers and system designers. ThingWorx is the centerpiece of PTC’s vision for digital twin implementation, so that manufacturers may maintain digital counterparts of real-world machines, equipment and products for diagnostics, analytics and predictive maintenance. Digital twins are usually powered by condition-monitoring sensors attached to the physical products, be it a piece of farm equipment or a wind turbine. Therefore, 5G’s high bandwidth promises better linkage between physical products and digital twins. 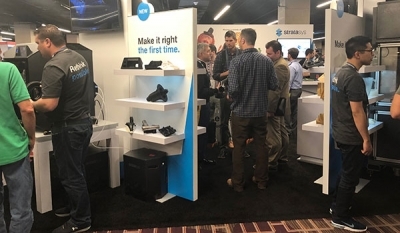 “Applications built on our core IoT platforms like ThingWorx will be the first to benefit from 5G, because of the connectivity that lets the applications communicate with devices out in the field,” Patterson says. PTC also owns Vuforia, which it acquired in 2015. 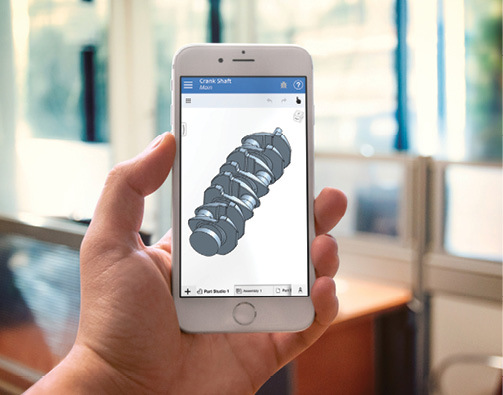 The Vuforia division offers Vuforia Studio, Vuforia Engine and Vuforia Chalk solutions for developing augmented reality (AR) apps to use in manufacturing, sales and marketing, and service and maintenance. Last year, MathWorks launched a new 5G Toolbox, aimed at those who need to model, simulate and test 5G communication systems. The 5G Toolbox is part of MATLAB R2018b, launched in September 2018. A programming environment, MATLAB includes a series of toolboxes to enable data analysis, deep learning and computer vision. “5G Toolbox helps wireless design engineers manage increasing design complexity while reducing development time. They can now use the toolbox for link-level simulation, golden reference verification, conformance testing and test waveform generation—without starting from scratch,” the company says in a press release. The toolbox includes reference models that engineers can use to build devices with 5G capacity. It also includes the ability to generate waveforms and test signals, which helps identify optimal placements of antennas and transmitters in mechanical assemblies and enclosures. “When adopting 5G, wireless engineers need to verify that their product designs can conform or co-exist with a new, complex standard that will continue to evolve. Very few companies have adequate resources or in-house expertise to understand and implement a 5G-compliant design,” says Karnofsky. When LTE networks became the latest standard, MathWorks also responded by releasing a LTE Toolbox in its software. “Having seen how LTE Toolbox has helped teams quickly deploy pre-5G designs in radio test beds, we anticipate 5G Toolbox will have a similar impact for the mainstream wireless market,” Karnofsky says. 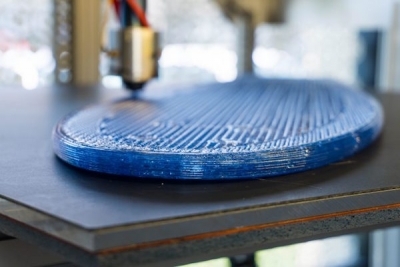 As product designers draw benefits from 5G, they’re also bound to be designing 5G-powered devices—IoT-enabled wearables, smart factory monitoring systems and field devices that receive and transmit data using 5G, for example. This trend represents both opportunities and challenges for simulation software developer ANSYS. The 5G nomenclature and release numbers can get a bit confusing. The leading organization behind the 5G (the 5th generation cellular mobile architecture) implementation is 3GPP (Third-Generation Partnership Project). This organization sets about uniting the works of seven leading mobile broadband standard development entities. The first set of 5G standards is in Release 15 of 3GPP’s specifications, announced after the group’s June 2018 plenary meetings. It allowed device manufacturers to really begin building interoperable, standards-compliant devices. 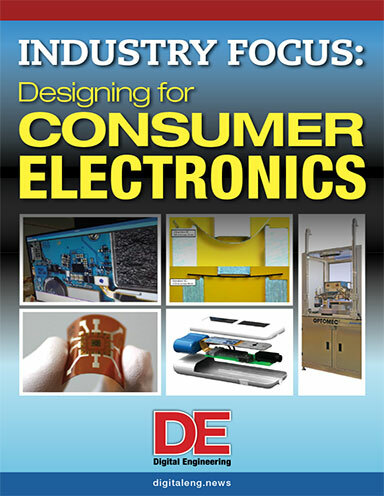 In 2015, ANSYS acquired Delcross Technologies, a computer-aided engineering (CAE) software developer that specializes in high-frequency electromagnetic (EM) and radio frequency (RF) coexistence EMI (electromagnetic interference) analysis. Formerly employed at Delcross, Carpenter became part of ANSYS after the transaction. “We’ve now implemented tools to model the interaction between millimeter-wave antennas and the physical environment,” Carpenter says. “This also applies to 5G, as this could let you evaluate beam formation.” Such tools will play an important role in autonomous vehicle development, where car-to-car and car-to-network communication outreaches must be part of the design considerations, he says. Simulation ray bouncing behavior—a method for simulating frequencies—“maps quite well to the GPU, one of the areas we’re looking at for solving simulation more efficiently,” Carpenter says. The use of the GPU’s parallel processing capacity lets simulation software speed up on certain types of simulation problems. ANSYS is among many developers who have struck up partnerships with leading GPU makers to facilitate GPU acceleration. One of the simulation solvers in ANSYS’ portfolio is HFSS SBR+ (formerly Delcross Savant). The product is an advanced antenna performance simulation software, designed to address many 5G-related electronics design issues. This could, for example, help someone simulate the way energy propagates from a transmission device through a tower.